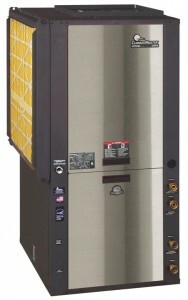 Heat Pump Suppliers Trilogy Packaged Systems are the most technologically advanced geothermal heating and cooling systems available for both new construction and retrofit applications. 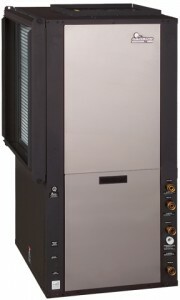 They incorporate a “Trilogy” of precision components (variable speed compressor, variable sped fan and variable speed water pump), the iGate® Smart Water Tank, and the iGate® Connect web enabled thermostat to provide the lowest operating cost of any heating and cooling solution. Trilogy 45 Q-Mode has been designated as one of the Most Efficient ENERGY STAR certified products in 2015 for exceeding stringent efficiency requirements. 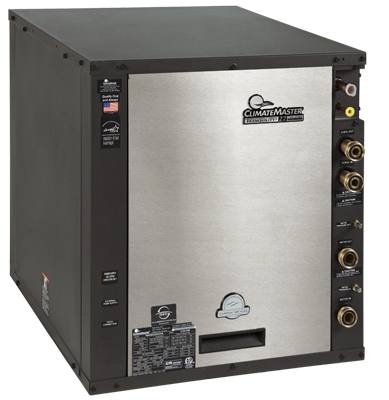 The Trilogy® 45 Q-Mode® delivers unprecedented comfort and energy efficiency through a “Trilogy” of precision components: variable speed compressor, variable speed fan and variable speed loop pump. You are always connected to this next generation technology through the internet-connected iGate® system. Heat Pump Suppliers Tranquility® Packaged Systems provide heating and cooling for new construction and retrofit applications. 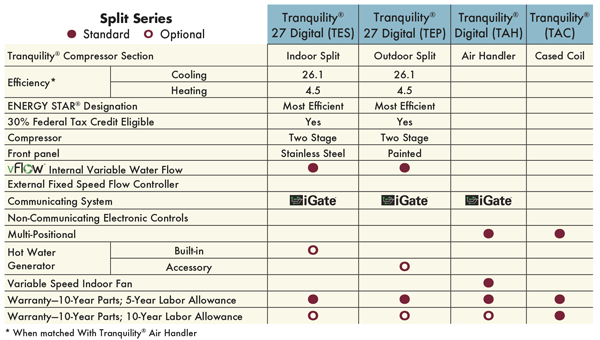 Tranquility® Digital Packaged Systems incorporate the latest geothermal technology, including iGate®, vFlow®, and variable speed indoor fans, to provide the highest efficiency and lowest operating cost of any Heat Pump Suppliers residential geothermal systems. Heat Pump Suppliers Split Systems provide heating and cooling for both new construction and retrofit applications in which installation space is at a minimum. Tranquility® Digital Split Systems incorporate the latest geothermal technology, including iGate® and vFlow® to provide the highest efficiency and lowest operating cost of the Heat Pump Suppliers geothermal split systems. 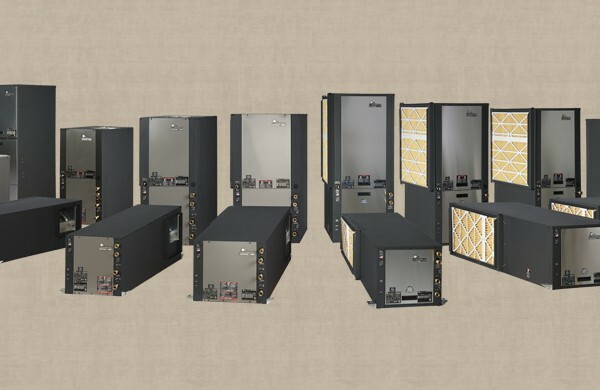 When combined with Heat Pump Suppliers Tranquility® Cased Coils (TAC) and Digital Air Handlers (TAH), our split systems achieve maximum efficiencies. 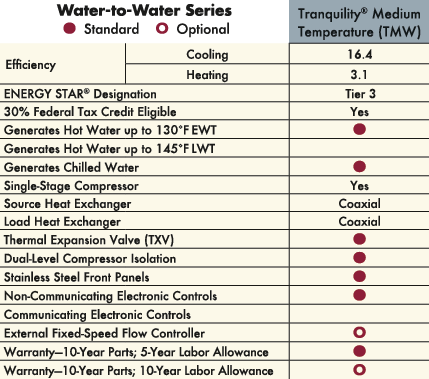 Heat Pump Suppliers Tranquility® Water-To-Water Systems are ideal for hydronic radiant floor heating and domestic hot water generation in both new construction and retrofit applications. These include space heating, pool heating, radiant floor heating, snow/ice melt, and potable hot water generation. 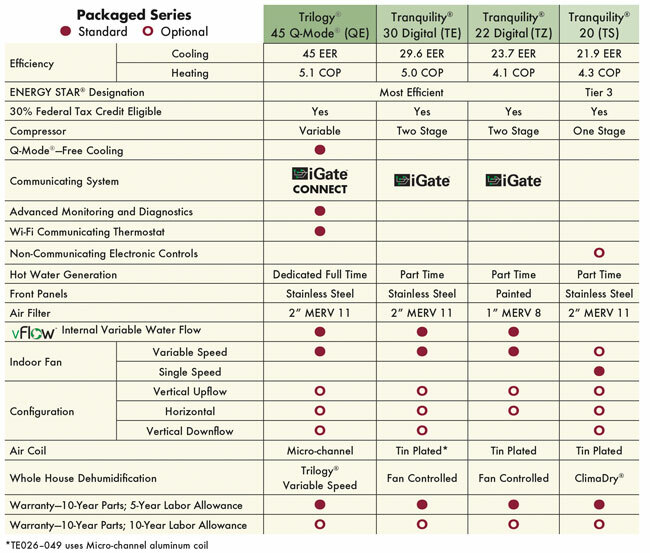 Additional information on these hydronic heating systems can be found below.